Italian animation short from the 1960s, directed by Bruno Bozzetto, starring Signor Rossi. Very nice and imaginative limited animation. Actual length is about 33m/110ft. The film comes in a plain box, but the original cover inlay is included. 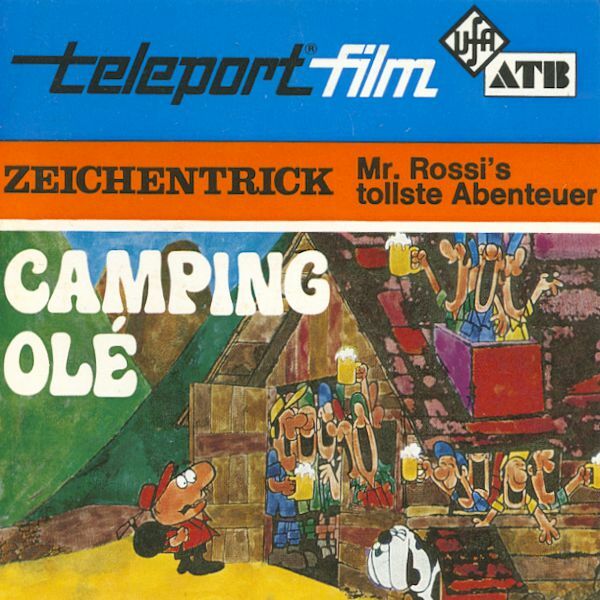 Released by Teleport Film/Ufa, Germany, as Mr. Rossi: Camping Olé.